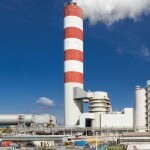 If your plant is converted to FGD operation, PennguardTM linings can save your chimney. PennguardTM linings are suitable for concrete, steel, brick, organic coating and FRP substrates, even if in relatively poor condition. A PennguardTM lining can even replace the flue / liner altogether by applying it to the concrete windshield and removing the existing flue / liner. Acidic condensate, positive pressure, thermal shocks, thermal cycles. 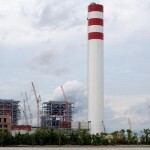 FGD may be good for the environment but it is tough on brick lined flues in power plant chimneys. The acidic condensate will permeate through the brickwork attacking the chimney structure. There is no need to demolish and rebuild. PennguardTM linings can be applied onto the brickwork substrate quickly and easily, sealing the brick flue from the acidic condensate durable and reliable. 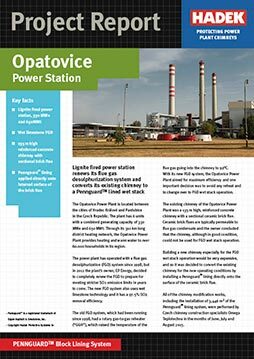 Some reference projects: Amercentrale Power Station, Opatovic Power Station. Low temperature FGD (wet stack) operation is also very demanding for coated steel chimney flues. 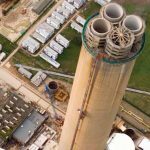 PennguardTM linings have proven resistance to sulfuric acid condensate and can be applied over corroded steel chimney flues while leaving the old organic coating in place. 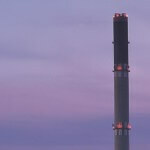 See Project Report on Rybnik Power Station. PennguardTM linings can be applied quickly with minimal disruption. Installation can be performed even in stages to fit in your planned outage schedule. PennguardTM linings can be applied in existing chimneys to almost any substrate.